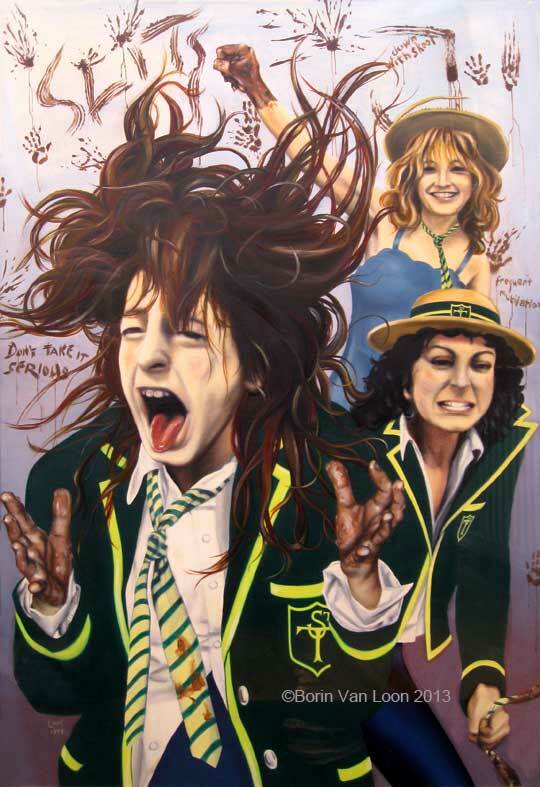 The Slits, avant-punk anarchists, were about to release their prime album 'Cut' which featured them nearly naked and covered in mud (in a photograph by Penny Smith). Borin, inspired by that image of them, put them into St Trinians uniforms - well, nearly - and maintained the mud motif with hand-prints and grafitti featuring some of their lyrics. They scratchilly covered Marvin Gaye's "Heard it through the grapevine" with Budgie on drums. It didn't quite match up to their superb John Peel sessions of a year or so earlier (now, at last available on CD and vinyl: see album below). Johnny Rotten wound up married to the mother of the Slits' lead singer, Ariana, who called herself Ari-Up. Tessa Pollitt (bass) is behind her with guitarist Viv Albertine in the blue gym-slip behind her. July 2011. 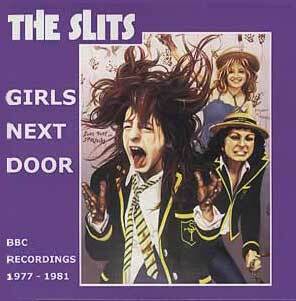 Some naughty people have used Borin Van Loon's painting as the front cover for a vinyl record: Slits, ' Girls Next Door - BBC Recordings 1977-1981', released in 2005 on Malta's Slitsophrenic Records. Admittedly the web entries we've seen state: "All Tracks recorded at Maida Vale 4 Studios. Front cover painting by Borin Van Loon." This album contains the historic first Slits BBC John Peel session featuring Palmolive on drums which captivated cultural commentator Greil Marcus (particularly 'Shoplifting') and most of the listeners to Peel's nightime programme on Radio 1, frightened the horses (not to mention some of the BBC sound engineers) and secured them a place in the punk pantheon. Trivia fans might like to know that the latter sessions feature Neneh Cherry on backing vocals, before she joined post punk band Rip, Rig & Panic. 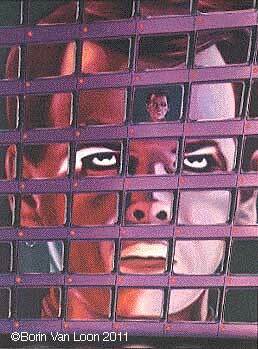 Gary Numan had ditched his band Tubeway Army and the 'New Man', often with bleached hair, invaded the pop charts on several occasions ("Are friends electric? ", "Cars"). He has even had a rebirth in the 90s as an artist of integrity after a near-crash or two as a private pilot and years in the wilderness.